Noisetar has its own sound space, ranging from various digital noises to crackle, rattles and crepitations similar to wood fire or rain, scratchy percussions and foot stomps, with many others from the lowest booming and gurgling drones, to thin misty hisses. 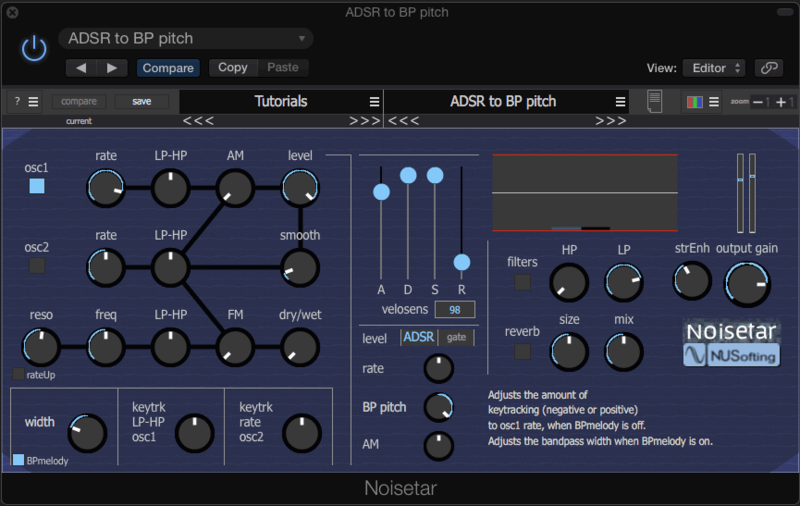 The quality and types of Noisetar sounds obviously doesn’t cover all possible noise sounds, but most certainly will increase your noise arsenal without taking up more than 2MB on your drive. Any musical genre can make use of a versatile noise synth. Enjoy exploring its unique sound space.